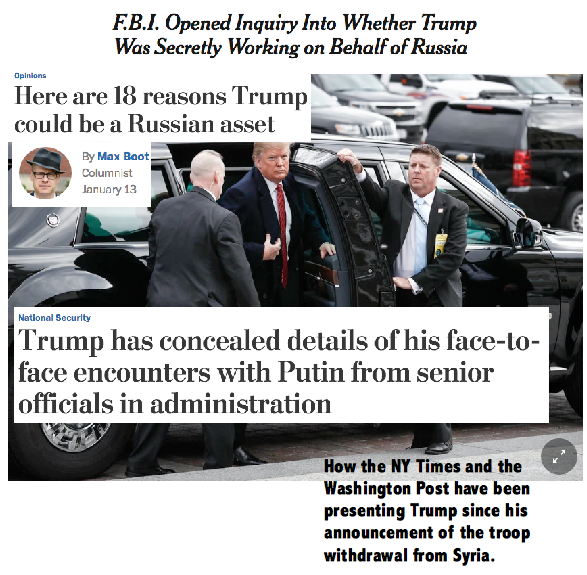 Here is a timeline of how the mainstream US capitalist media has covered the issue of Trump’s financial ties with the Russian mafia capitalist class. This timeline is significant, because it provides a clue to the thinking of the mainstream of the US capitalist class as well as how that thinking is now changing. In April of 2017, the online web site whowhatwhy.org published the first report (that Oaklandsocialist knows of) on Trump’s role as a money launderer. Oaklandsocialist reported on it, but obviously, if we were able to find and report on this story, then so were not only others on the socialist left, but also the capitalist media in general. In July of 2017, the left liberal New Republic published an article by contributing writer Craig Unger, author of “House of Trump, House of Putin”, on which he was apparently working at that time. Also in July of 2017, the New Yorker did a piece in relation to Trump’s financing of his golf club in Scotland. On January 9, 2018, Tom Adams and Dennis Aftergut published a memorandum outlining the major evidence for Trump’s money laundering role. Aftergut is a former top federal prosecutor. The memorandum was sent to US Representative Jackie Speier (D CA). This writer also sent that memorandum to US Representative Barbara Lee, who did not respond. On December 2018, the SF Chronicle published an article by Adams and Aftergut summarizing their memo. Around August of 2018, Craig Unger’s book, “House of Trump House of Putin” was published. See oaklandsocialist’s book review and summary here. On December 15, 2018, Speier authored an article in the SF Chronicle which summarized the Adams/Aftergut memo. On January 12, 2018, Vox.com had a story on the issue. (update) On March 29, 2019, Craig Unger published an article in the Washington Post. Trump with key player in his money laundering schemes, Felix Saper. It is unfortunate that so few socialists have taken up the issue of Trump’s mobster related past as a money launderer. These stories focused on Trump’s role as a money launderer for the Russian mafia capitalist class. To our knowledge, nobody else in the capitalist media – nor on the left – commented or picked up this story at that time. In July of 2017, Trump had a private conversation with Putin outside of the G20 meeting. Nobody else was present except for Putin’s interpreter. Not even Trump’s interpreter was present. There was a mild flurry of comment in the capitalist media on this, but it soon died down. The next major event in this unfolding scandal was the July, 2018 Helsinki meeting between Trump and Putin. This provoked a storm of criticism, especially when Trump sided with the representative of a rival capitalist power – Putin – vs. his own intelligence sources. However, none of the major media touched the underlying issue – Trump’s role in his previous life. In late November, when it seemed that the Mueller investigation might be killed, the Washington Post had a few articles that hinted at the issue. For example, on Nov. 29, the Post published an editorial and an opinion piece stemming from some of the testimony of Michael Cohen. But what these dealt with was Trump’s interest in investing in Russia, not his getting investments from Russia. On January 11 of 2019 – almost immediately after the holiday season had ended and everybody was back to “normal” and paying attention – the New York Times published an article that opened the floodgates. “FBI Opened Inquiry Into Whether Trump Was Secretly working on Behalf of Russia” their headline read. 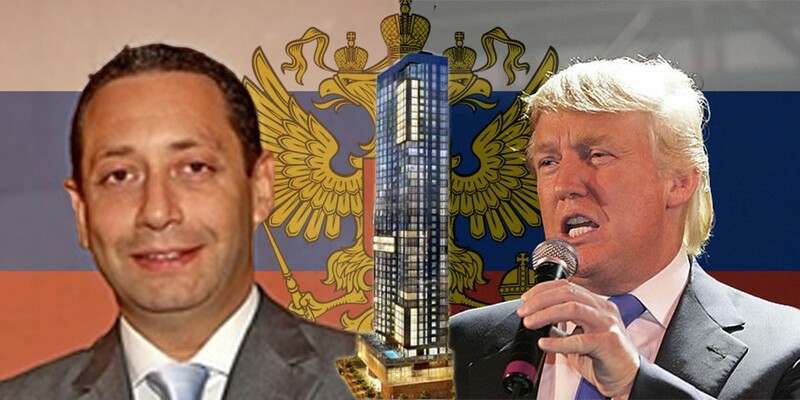 That Trump was financially linked with the Russian mafia capitalist class was already known (although not really discussed) by the US capitalist class as we have shown. It seems highly, highly unlikely that they hadn’t known that the FBI had been investigating Trump as a “security” risk prior to this date. The article focused on Trump’s interest in investing in Russia, not his role as a money launderer for the Russian capitalists. The very next day, the Washington Post exposed a potentially even more explosive story. “Trump has concealed details of his face-to-face encounters with Putin from senior officials in administration” trumpeted the headline. The article explained that Trump has gone to extraordinary lengths to hide what he and Putin discussed in several meetings. This includes confiscating the notes of his interpreter in his Helsinki meeting. In the case of his meeting with Putin in Hamburg in July of 2017, as we pointed out, Trump couldn’t confiscate his interpreter’s notes because he had no interpreter there. The same day, the Post published an opinion piece by Max Boot. The piece was entitled “18 reasons Trump could be a Russian asset.” For those unfamiliar with him, Boot is a central figure on the Council on Foreign Relations, which is probably the most influential US capitalist think tank. He was a lifelong Republican until about a year ago, when he split from that party over its takeover by Trump. Again, it is not credible that Boot – who has strongly condemned Trump in the past – was not aware of Trump’s connections with the Russian mafia capitalist class prior to this date. Also on that date, the Post published another opinion piece by Anne Applebaum. “The Trump-Putin revelations tell us what we knew all along”, was the title. The piece concluded, “so, yes, bring on more evidence, which will reveal more of what we already knew.” In other words, from its headline to its conclusion, this was an admission that they had known of these connections for a long time. What do these revelations amount to and why have they only come out now? Serious as they are, all these articles discuss is his interest in investing in Russia, not his money laundering past. As we have said many times (see this article. ), the main reason the US capitalist class does not want to discuss the money laundering issue is that money laundering for the drug cartels is rampant in the real estate industry. Any revelation of Trump’s money laundering would threaten to reveal this fact. 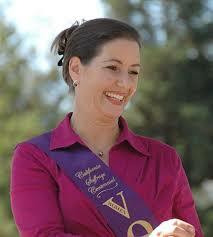 Oakland Mayor Libby “Yuppie” Schaaf. Her main campaign donors come from the real estate industry. The City of Oakland is basically run by the real estate developers. They compose the main donors to the campaigns of its mayor, Libby “Yuppie” Schaaf, for example. Oakland is probably no exception. The question is how many of these donors have been involved in this money laundering, meaning how many city politicians (and those politicians who arose from city politics) have been getting money from money launderers for the drug cartels? Today, being linked with the drug cartels is “worse” than being linked with the Commies in the 1950s! Image the scandal that would erupt. Maybe it won’t be fully revealed, but maybe it will. More generally, such a scandal would vastly accelerate the discrediting of capitalism, especially among millions of younger people, who are already showing increased support for socialism. This extreme political risk was only undertaken by the mainstream of the US capitalist class because Trump’s unilateral decision to remove the US troops from Syria (tiny in number as they may be) convinced them that they cannot restrain this Russian capitalist class linked president, nor can they tolerate him in office for another two years. Something must be done now, however risky. First, they are all terrified to being linked with anything that remotely sounds like US patriotism. But this has nothing to do with patriotism; it’s a revelation of the deep crisis for the US capitalist class, the fact that they’ve largely lost control over the executive branch of their own government. It also shows the deep divisions within that class. And that gets to the second aspect of the issue. It is not enough to simply simply raise the issues that arise from the direct class struggle – the injustices of capitalism, the struggle of workers, etc. What also has to be raised is the relations inside of the capitalist class. Simply looking at the injustices and exploitation by the capitalist class always leaves the working class looking upwards at the rulers over society. Considering what is happening within the capitalist class means regarding society with a bird’s eye view, regarding it from above. From that perspective, the working class starts to see itself as the potential ruling class, instead of the class that is in perpetual struggle against the ruling class. In other words, this is the difference between reformism, or social democracy, and revolutionary socialism. The fact that the overwhelming majority of socialists have ignored this issue does not speak well for them. That is why it is important for socialists to take up this sort of issue and shout it from the rooftops. Worker solidarity: We have to change the entire world!